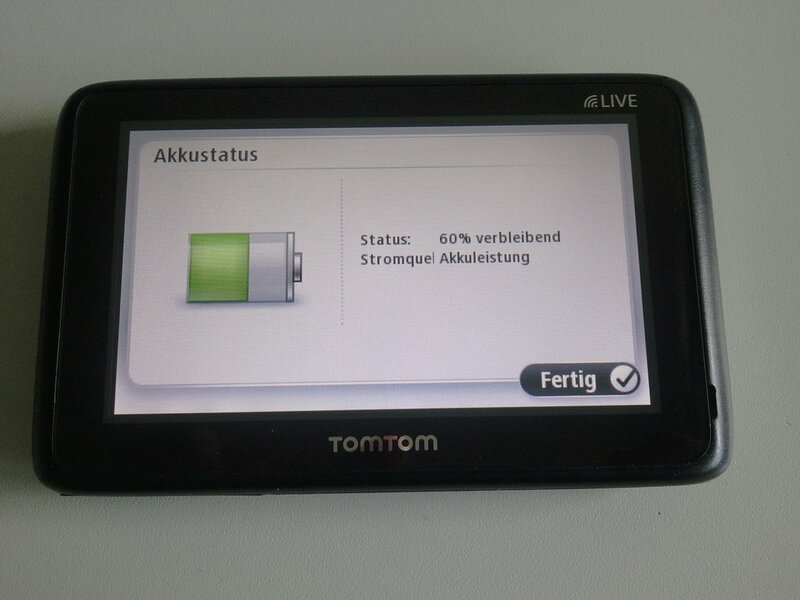 Many TomTom navigation systems of the TomTom Go product line are out of warranty by now and flawed by some nasty problems with their batteries. Either the units are only working for a short amount of time after the loading cable has been detached or the batteries are dead and don´t hold any power at all. 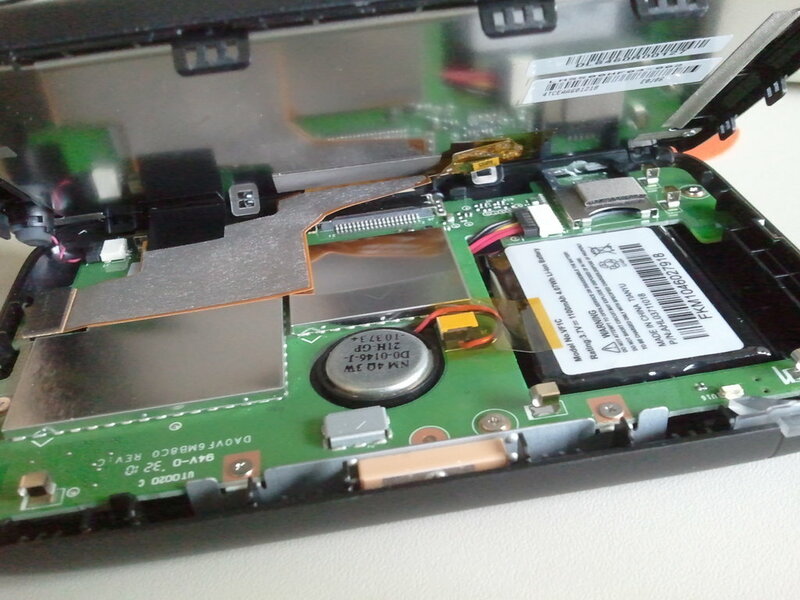 As it is quite easy to revive the devices by simply replacing the faulty battery, I made a short walktrough based upon my TomTom GO LIVE 1000 system. 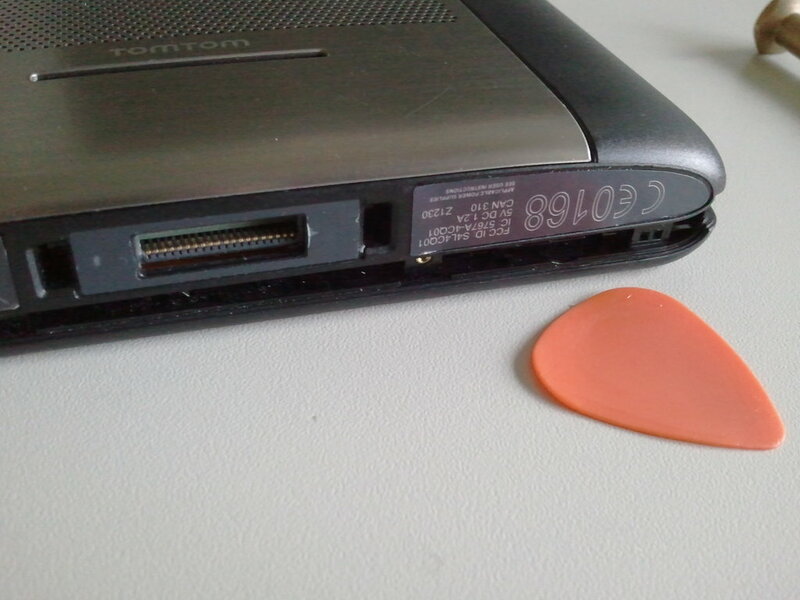 For getting the device open, gently remove the specifications stickers near the USB port and get the two torx 5 screws out. 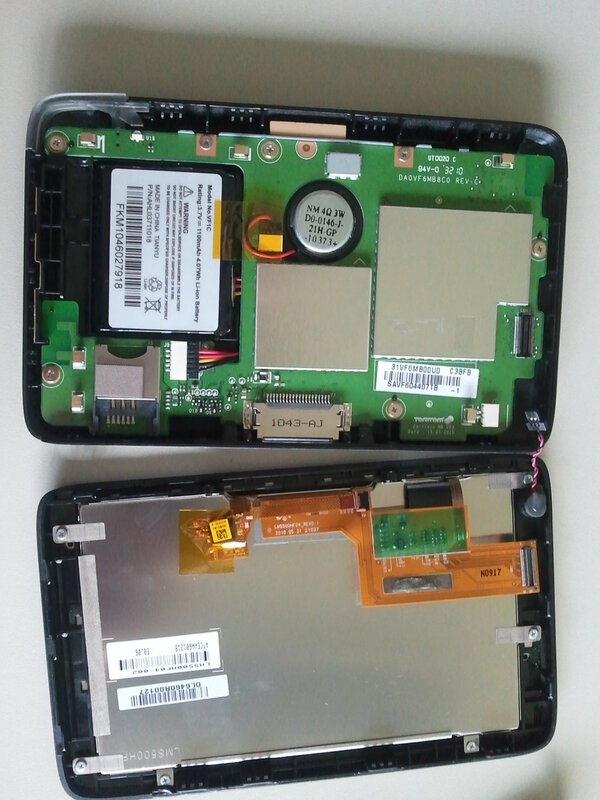 Then use some fine tweezers to get the SIM card out of its hidden slot (left side of the picture below). 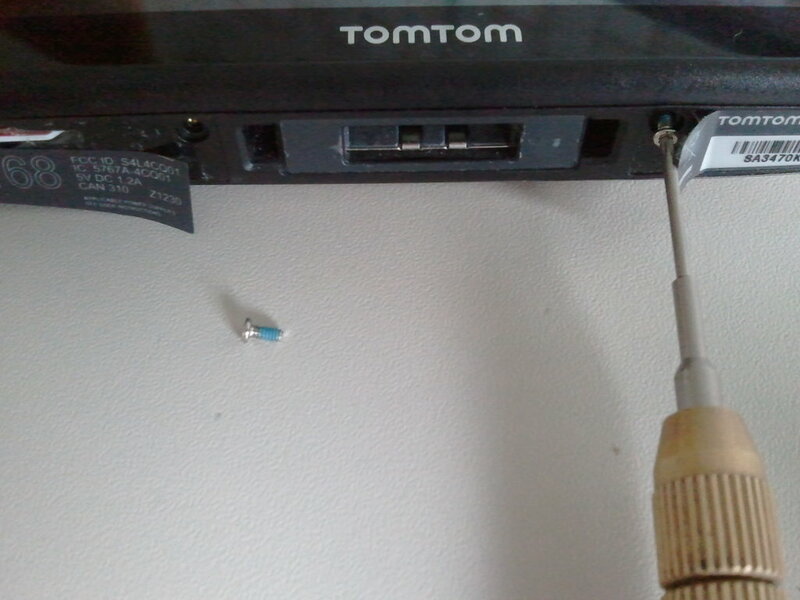 Use an old credit card or some plastic clips to pry the case open on each of its four sides - work carefully and slowly and don´t damage the cable connectors inside the case. 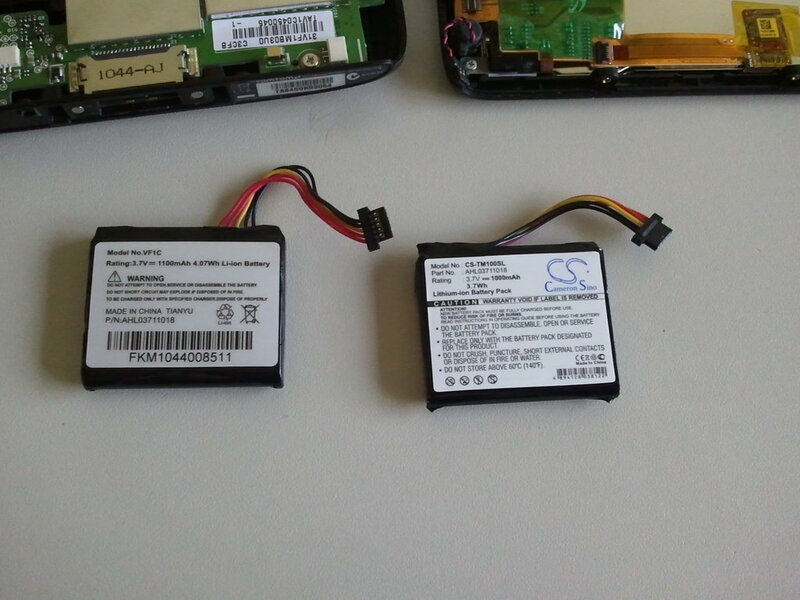 Depending on your model, there will be some connector cables (Display / Touchscreen, Sound,...left side on the below picture...). Release them by gently pushing them off with a small piece of (preferably) non-conducting plastic or a toothstick or something. Now get the battery out by loosening its connector and prying the battery upwards. You may have to loosen all of the logic board´s screws a bit to get it out. Take care not to bend and break anything.